The New Orleans Pelicans unveil the team’s new logo | Ball Don’t Lie – Yahoo! Sports. 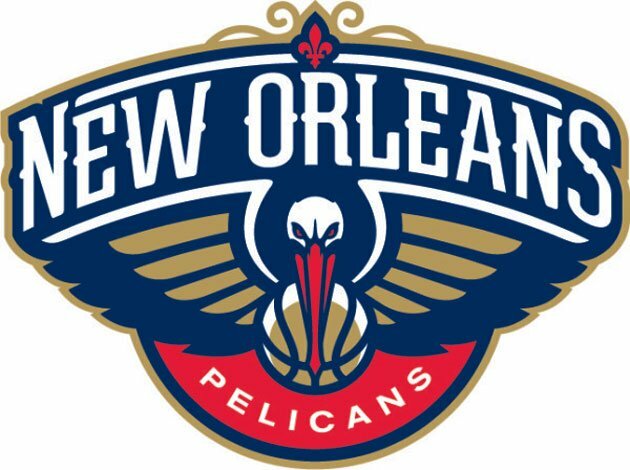 Well New Orleans is now going to be known as the Pelicans. It’s an interesting switch to say the least. I wasn’t real whenever I first heard of the change if I liked this or not. My first thought was that the “Pelicans” just doesn’t sound tough enough. I also had no idea why the “Pelicans”, it seemed pretty random to me. After doing a little reading today I discovered that “Pelicans” in this article that New Orleans and Louisiana consider Pelicans a symbol of the city and the state. That made me like the name a little better, but it still doesn’t sound tough. Well, take a look around the NBA. The NBA has the Heat, Magic, 76ers, Lakers, Clippers, Knickerbockers, and Celtics. None of those names are “tough’, but are meant to be a reflection of the city that they call home (technically not the Lakers, but they were named the Lakers when they called Minnesota home). After reading this today and seeing the logo and apparel, I really am liking this name change. 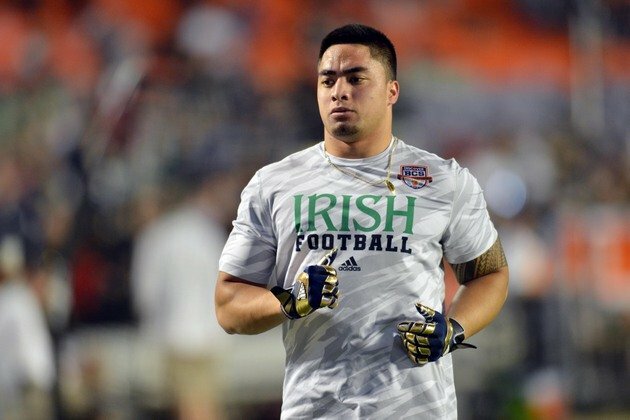 Notre Dame stands by Manti Te’o, says he was “perfect mark” for a hoax | Dr. Saturday – Yahoo! Sports. Movie producers have to be lining up for the rights to this story. Here is Te’o’s side of the story. I cannot wait to hear more about this story because I am still not sure what to believe and what is the truth. The Philadelphia Eagles have hired Oregon coach Chip Kelly for their vacant head coaching position said Eagles owner Jeffrey Lurie today. Kelly is an offensive innovator that has built Oregon into a college football powerhouse. Oregon went to BCS bowls games in each season that Chip Kelly was the head coach, they have won three Pac 12 championships and played for the National Championship two years ago. Overall Kelly was 46-7 in four seasons as the head coach of the Ducks. Kelly was initially interviewed by the Eagles and other teams (Cleveland Browns and Buffalo Bills) a few weeks ago before announcing that he would be returning as the Oregon Head Coach and wouldn’t listen to any more NFL offers. According to a USA Today spokesman said Kelly had a “change of heart” on Tuesday night about turning down the Eagles previous offer. What led to Chip Kelly’s change of heart is a matter of speculation. According to a Yahoo Sports report by Charles Robinson and Rand Getlin on December 19th, Oregon is anticipating an appearance before the NCAA’s committee of infractions this spring. The university had originally attempted to resolve the investigation but failed. The infractions that the NCAA are looking into involves a Texas prep advisor named Will Lyles and a $25,000 payment he received from Oregon in March 2011 for “scouting services”. Lyles said Kelly “scrambled” in late February and asked Lyles to submit retroactive player profiles to justify the $25,000 payment to his company, just days before the transaction was revealed in a March 3 Yahoo Sport report. In July 2011 Will Lyles told Yahoo Sports that the money was to influence recruits to attend Oregon. Lyles insists in the July 2011 report that Oregon didn’t pay him for his work as a scout. The school paid him because of the influence that he had with recruits and their families in hopes that he would advise these top players to attend Oregon. His role as a mentor to recruits and being a paid scouting service for Oregon is the focus of the NCAA probe. Lyles had a hand in getting some of Oregon’s top recruits including former Duck, current NFL player LaMichael James. It should be interesting to see what the infractions committee is able to find. 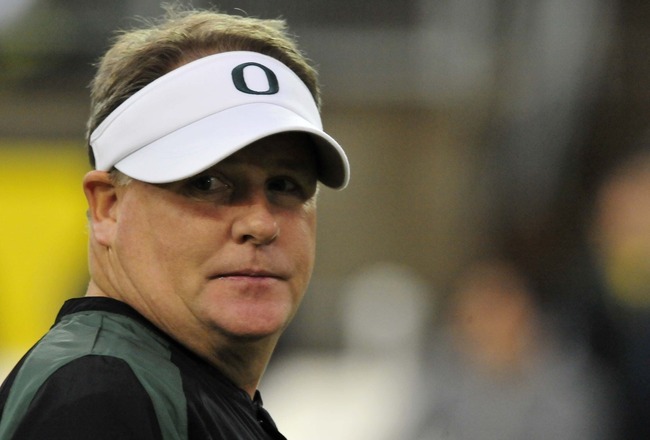 Did Chip Kelly abandon the burning ship before it sinks the same way Pete Carroll left USC? It sure seems that way given the mounting evidence, and the fact that the football program learned less than a month ago that it probably has a date with the infractions committee. This is reason number one why NCAA players should be able to transfer without penalty when the head coach leaves. But that’s a story for another day. Chip Kelly built the program up and possibly burned it down before leaving the players to face the punishment for a crime they didn’t commit. Denver mayor injured, unable to do Ray Lewis dance. I have always found these bets between mayors, or governors, to be interesting, albeit corny. This one takes the cake though. The mayor of Denver Michael Hancock was set to pay up his losing end of the bet by doing the “Ray Lewis” dance when he came down with an injury. I thought mayors were supposed to play though the pain. What are the odds that Hancock is faking the injury hoping people will forget about it so he doesn’t have to do the dance?